For the past two decades scientists have been attempting to harness the peculiarities of the microscopic quantum world to achieve leaps in information processing and communication ability. By exploiting several features of physics at the universe’s smallest scales - that electrons are both particles and waves, that an object can be in many places at once and that two particles can maintain an eerie instantaneous connection even when separated by vast distances - quantum machines could make previously unthinkable computing, communication and measurement tasks trivial. To cite just one example, a quantum computer should be able to break “unbreakable” codes. 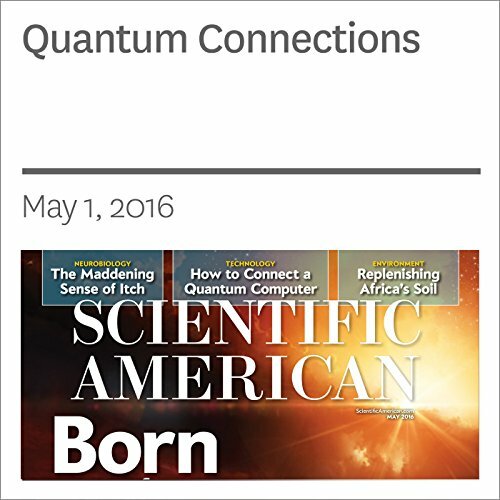 "Quantum Connections" is from the May 2016 issue of Scientific American.